The Arabian sea is locted in the north of the third largest ocean in the world that is the Indian Ocean, the Indian Ocean is the warmest ocean in the world. The countries that touches arabian sea includes India, Yemen, Oman, Iran, Pakistan, Sri Lanka, Maldives and Somalia. Cyclones are very rare in this part of the world but that does not mean that arabian sea can not give birth to some major storms the famous example is Cyclone Gonu and Cyclone Phet. How many cyclones have been there in the Arabian sea? There had been a total of 50 tropical cyclones in the Arabian sea from 1885 till 2010. This cyclone hit Indian state of Gujarat, its moisture caused heavy rainfall along Pakistani coast including Karachi. It was a category-3 cyclone. Fatalities At least 10,000 people died in India and 12 in Pakistan. Record It is the fifth strongest cyclone in the Arabian sea. Fatalities At least 6400 people died in Pakistan and one person died in India. Record According to the JTWC this cyclone is the forth strongest cyclone in the Arabian sea but it is the most strongest cyclone in the history of Arabian sea at the time of landfall. It made landfall over Gujarat in India. It was a category-3 hurricane in the sea but weakened to a cyclonic storm status at the time of landfall. Fatalities At least 120 or 900 people died in India. Record it is the third strongest cyclone in the Arabian sea. It made landfall over Oman in June 2007. Super cyclone Gonu was a category-5 hurricane. Fatalities At least 77 people died in Oman and another 28 people died in Iran. Record Cyclone Gonu set many records, it is the only cyclone to strike Iran and it is the most strongest cyclone ever to form in the Arabian sea. It made landfall in Oman and then made a second landfall near Karachi after that it entered Indian as a low pressure area. It made one of the rarest track of a cyclone. It was a category-4 hurricane. Fatalities About 15 people died in Pakistan, 24 people died in Oman while 5 people died in India. Record According the JTWC, cyclone Phet is the second strongest cyclone after cyclone Gonu. ← Sub-continent awaits Monsoon season! Pakistan has seen good winter rains every year but not karachi and its province. Will karachi ever get frequent meaningful monsoon rains like Lahore,islamabad and Dhaka,calcutta etc? We have never seen heavy rains in winter in karachi, sindh like other parts of country. If karachi get 2mm rains then quetta,gilgit,lahore and islamabad and peshawar get atleast 50mm to 200mm rains which is Injustice with karachi and sindh. Almost daily in whole winter giglit and fata and kashmir gets heavy rains to snow. Because of this Arabian sea karachi weather is hot and dry whole year. 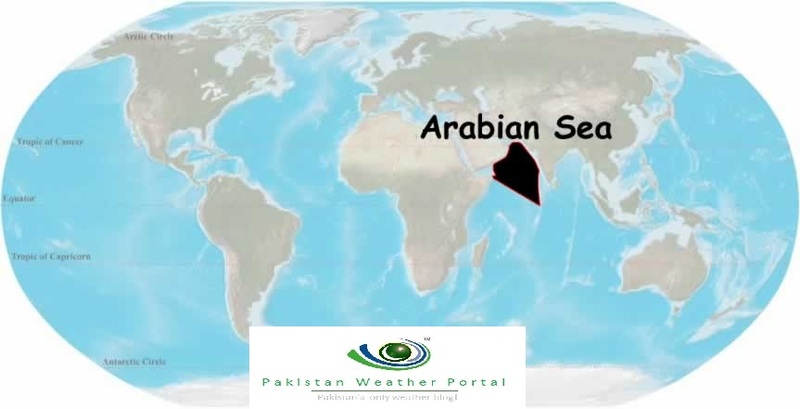 Arabian Sea cannot give Precipitation to karachi.Cities Near bay of bengal and other oceans and seas have Atleast two to five months rainy period. There is NO name of precipitation over Arabian sea till 8 to 9 months and just two to three months there is some precipitation which runs over Indian provinces. On the other hand western disturbance also cannot creates rains over karachi. Even cities like islamabad and peshawar which has not any sea but has rains 6 months from western disturbance and atleast 3 months during monsoon.